Thank you daylight savings time... that extra hour of sleep was much appreciated! 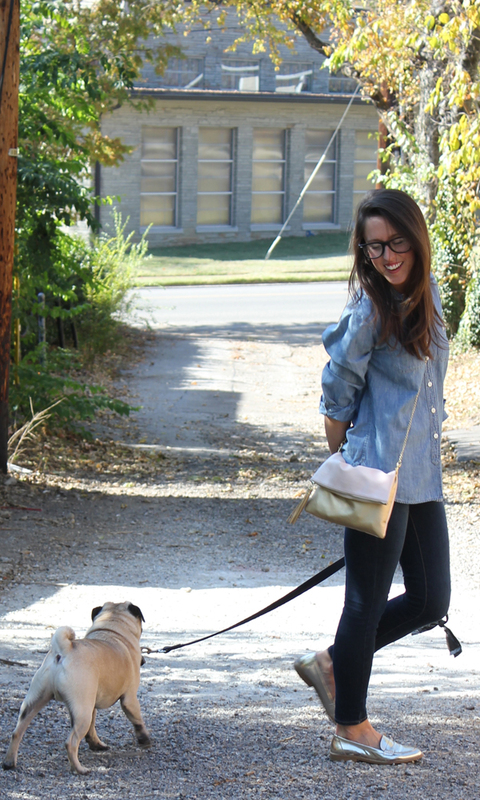 Those boots are super cute (and so is your pug)! 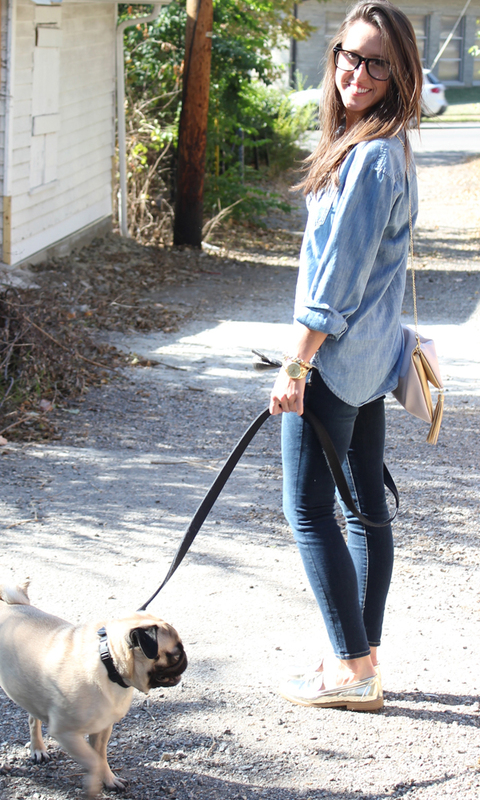 Such cute weekend style. I love your outfit in the last photo. Sometimes I would totally wear, any day of the week actually. I love your shiny shoes!! Those are awesome! I barely got out of my pjs...I changed into leggings. HAHAH! 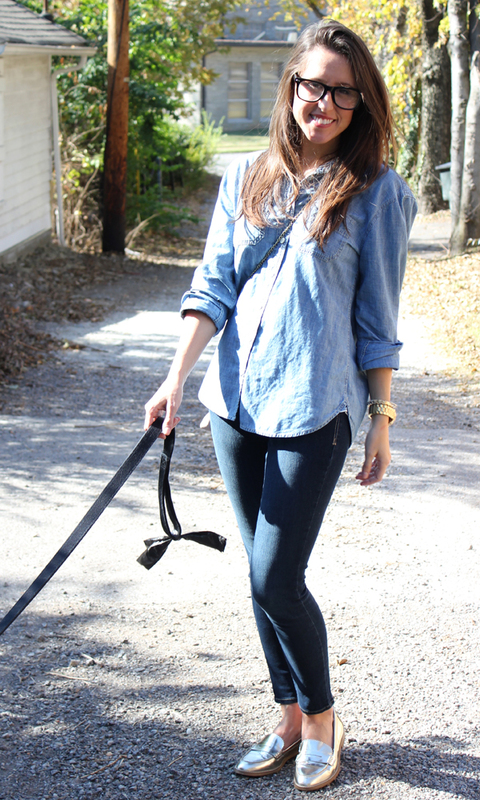 The double denim with the gold loafers is great! Both this looks are amazing! You seriously look adorable! And what a cute dog! P.S. Check out my giveaway for 2 trendy chain bracelets on my blog! 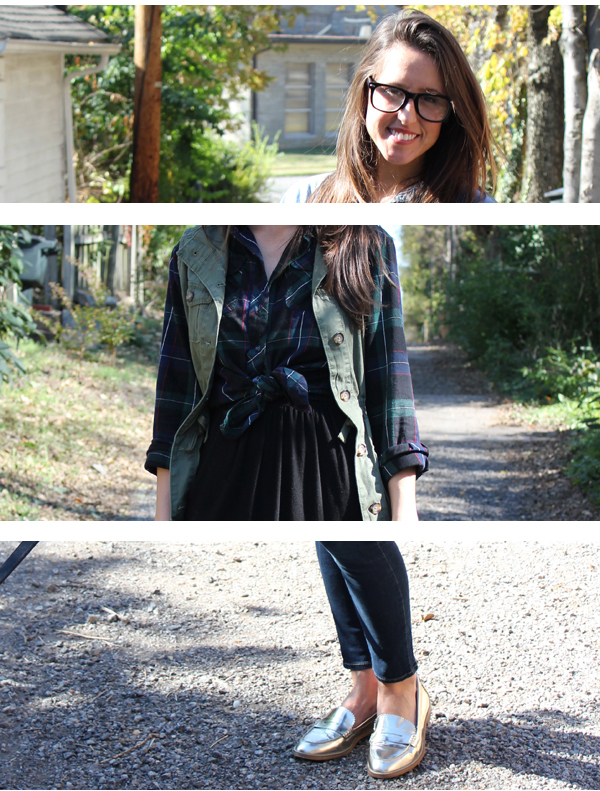 Oohhh YAY for using photoshop...I need to hop on that train and learn too :) Love these cute & casual looks, and those gold loafers are ahhmazing! So cute! 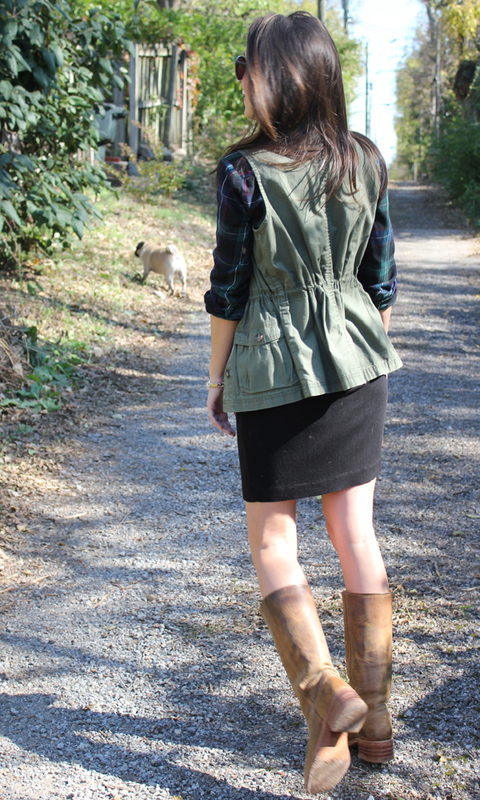 Love the plaid with the vest, and your shoes in both! Love both these looks! You are k-i-l-l-i-n-g your 30x30!! Absolutely LOVE the shirt/dress look, adorable! Some weekends just need to be about catching up! Glad you were able to spend time with the boys. I spent all weekend performing in a musical and with my sister who came to town, so now I'll spend the week catching up! Love both of these looks! 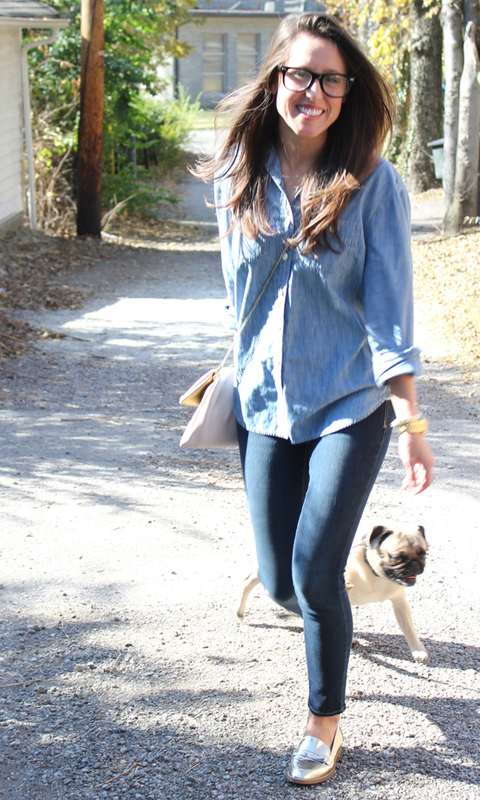 I think I need to go get a pair of Old Navy Rockstar jeans, they look great!